One of the most important aspects of her life was maintaining her Arabic heritage with her family. She demonstrated this through cooking many traditional dishes, as well as baking many Arabic sweets up until the present. She loved the Arabic language and passed on this love to future generations by insisting on maintaining these traditions. She was devoted to many of the Antiochian traditions of her church, and hosted a SOYO retreat mission at her home in Waterville, ME, in 1979 (The Word, Vol. 24, No. 3, March, 1980). She will be remembered for her sense of humor, her abundant energy, and her beautiful smile. 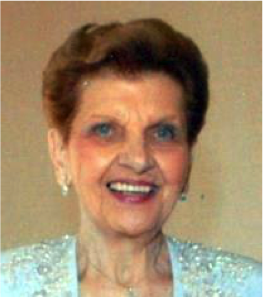 This radiant personality allowed her to easily interact with any generation, especially older, non-native family members. Jamila was predeceased by her husband, Dr. Elias Richard Nawfel.